CARVED-OUT LIGHT will be part of Cone Man Running Productions' "Five Minute Mile-Theatre on the Run" festival in Houston, November 10-19, at the Obsidian Theatre. The festival is unique in that every evening will feature a different lineup of plays. Eight plays will be preselected, six will be drawn at random, and six more will be voted on by the audience (based on a short description). CARVED-OUT LIGHT will be published in THE BEST 5-MINUTE PLAYS book by Applause Theatre & Cinema Books, a Division of Hal Leonard Performing Arts Publishing Group (tentative publication date January, 2017). My short play CARVED-OUT LIGHT will be published in THE BEST 5-MINUTE PLAYS book by Applause Theatre & Cinema Books, a Division of Hal Leonard Performing Arts Publishing Group. CARVED-OUT LIGHT is a spiritual dramedy and was inspired by a Lino Tagliapietra glasswork exhibit I saw at the Palm Springs Art Museum. The book's tentative publication date is January 2017. The World Premiere of my play, SPEAK NOW OR FOREVER HOLD YOUR PEACE, is in progress at Camino Real Playhouse in San Juan Capistrano, CA. This 10-minute drama is one of seven finalists out of 300 entries in the Showoff! International Playwriting Festival. Hope to see you in person on Sunday 25th! I AM COTTONWOOD: An Opera in Words was given a fabulous reading by a terrific group of actors at Moving Arts Theatre in Los Angeles on Monday 9/22. Larissa Gallagher starred as the historic opera diva Nellie Melba (above, left). She also doubled as Young George, Nellie's son. Julie Briggs (above right) portrayed her teacher/mentor, Madame Mathilde Marchesi. William Salyers (2nd row, left) played Charlie Armstrong ("Kangaroo Charlie"), Nellie's husband. I AM COTTONWOOD: An Opera in Words is based on the true life story of Dame Nellie Melba, the 19th-century superstar opera diva who rose from the Outback of Australia to the heights of European society but sacrificed everything and everyone on her way to the top. Dame Nellie was a recent "guest" on Downton Abbey. I was inspired to write the play by the painting "The Shadow Side" by Maynard Dixon (2nd row, right). Many thanks also to Kipper Adams (Jonesy the Mailman/Alphonse the Footman), Jeremiah Benjamin (Mr. Mitchell/Judge), Tom Diggs (Salvatore/Bailiff/Stage Directions), Ron Morehouse (Philippe, duc d'Orleans/Mr. Lanyer/Herr Strakosch), and of course to Trey Nichols, in whose Workshop I developed the play and who did the casting. Brava to one and all! My newest 10-minute play (a drama!) will have a free reading on Sunday Sept. 28th, 7:00 p.m. at Moving Arts Theatre in L.A.
An American Protestant woman sits in the confessional of a Catholic church in London. Why is she there? And what is she confessing? There's street parking and a small business lot across the street at Fernwood and Hyperion. Also on the bill is a comedy, KING LARRY, by Michael Wise. My full-length play I AM COTTONWOOD: An Opera in Words will have a free reading this Monday 22nd at 8:00 p.m. in Los Angeles. I AM COTTONWOOD: An Opera in Words is based on the true life story of Dame Nellie Melba, the 19th-century superstar opera diva who rose from the Outback of Australia to the heights of European society but sacrificed everything and everyone on her way to the top. Dame Nellie was a recent "guest" on Downton Abbey. There's usually ample street parking within a few blocks, and a small business lot across the street at Fernwood and Hyperion. The Colleges of the Fenway Theater Project in Boston, MA are producing my 10-minute play, MODEL HOME, on April 4, 5, and 6 as part of “Now That’s Funny!”, "An evening of witty and wacky... one-act comedies, guaranteed to leave a smile on your face". A single woman visits an empty Southern California model home and fantasizes about living there, when surprised by a "family" just like the one she had been imagining. Comedy (1M, 2F, boy, girl). MODEL HOME is published in THE BEST 10-MINUTE PLAYS 2007 (Smith & Kraus), available here. Kent-Meridian High School in Kent, WA (near Seattle) will be producing MORE PRECIOUS THAN DIAMONDS three times during their annual Drama Fest of student directed and acted short plays. The dates are Wednesday, February 26th (2 shows) and Thursday, February 27th. MORE PRECIOUS THAN DIAMONDS is included in THE BEST 10-MINUTE PLAYS 2009 anthology, published by Smith & Kraus. (Another one of my plays, SUPER 8 VERSUS BACARA RESORT AND SPA, is also in the book.) Play books may be ordered through PayPal on the Store page. MORE PRECIOUS THAN DIAMONDS: the Musical charted as Top Album on CD Baby's Show Tunes and its 3 songs charted #1, 2, 3 on Show Tunes, as well as #1, 2, 3 on Musicals/Broadway. All songs are available for purchase on CD Baby, iTunes and Amazon (see Store). The album also attracted many international fans on Jango internet radio. Festival details to be announced. If you're in the area please come! The Concert Singers of Westchester, CA (which I accompany) presents "Campfire Songs: Songs of the Outdoors" Sunday June 23rd. Remember singing songs around a campfire while toasting marshmallows in the great outdoors? This summer we'll bring you some of our favorite campfire songs, from cowboy songs to favorite folk tunes, including my MUSEUM TOUR: The Musical (concert version). The Old West meets The Twilight Zone! Americana with a Broadway twist! CDs and colorful album cover merch will also be available. Come early for ice cream-doors open for ice cream and treats at 3:30 p.m.; concert at 4:00 p.m. CenterPointe Club at Playa Vista, 6200 Playa Vista Drive, Playa Vista CA 90094. Tickets are $15 in advance at (310) 376-1601, or $17 at the door (suggested donation). For more info, please visit http://theconcertsingers.com/index.php?option=com_content&view=article&id=46:2012-2013-season&catid=40&Itemid=132. MUSEUM TOUR: The Musical just released! The Old West meets The Twilight Zone! Americana with a Broadway twist! charted as Top Album on CD Baby's Show Tunes! #1, 2, 3 on CD Baby's Musicals/Broadway! Listen live on Radio Airplay internet radio! The cover artwork for my two albums is so beautiful (thanks, Ewa) that I just can't keep it to myself (or if I did, it would be a crime, or at least a crying shame!) Hence, a new Zazzle store filled to the brim with gorgeous, cute, practical, pretty and witty items! ~Sip coffee from a colorful Western "Museum Tour" mug while listening to songs from MUSEUM TOUR: The Musical! ~Be the envy of all the gals when you retrieve your lipstick from the pink-rose-and-diamond-ring "More Precious Than Diamonds" cosmetic bag! As for me, I'll be rockin' it old-school with tees & totes, as well as the afore-mentioned mug and cosmetic bag. But dang, these designs are so pretty that I might buy some electronic device just so I can put a cover on it. They are that good. Please visit www.zazzle.com/pianovoice and see if you agree! My play SUPER 8 VERSUS BACARA RESORT AND SPA has been selected for inclusion in the 11th Annual 10-Minute Play Festival at the University of Montana Western, in Dillon, MT. The festival runs Sept. 16, 17 and 18 in the Small Auditorium on campus, at 7:33 p.m. each night. Please contact 406-683-7422 for details on which nights SUPER 8 will be performed. Storyline: A Hollywood producer trying to relax is annoyed by his next-door hotel guest, a sweet small town Southern girl; but is she really just an actress trying to get a part? Romantic Comedy. SUPER 8 was a winner (by audience vote) in Camino Real Playhouse's Showoff! International Playwriting Festival in San Juan Capistrano, CA, where it had a seven-night run in January 2009. MORE PRECIOUS THAN DIAMONDS. Books are available here on my website, under "Books & CDs". My 10-minute play Model Home will be produced by Naugatuck Valley Community College in Waterbury, CT (750 Chase Parkway) as part of "Show Stoppers:Songs and Scenes of the 21st Century". 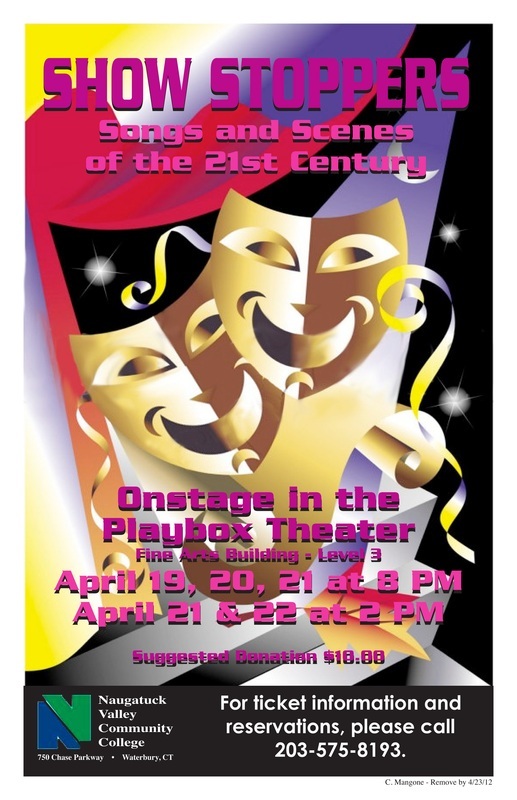 Performances are April 19, 20, 21 (Thursday-Saturday) at 8 p.m. and April 21, 22 (Saturday-Sunday) at 2 p.m. in the Playbox Theater, Fine Arts Building, Level 3. Suggested donation is $10. For reservations please call (203) 575-8193. Storyline: a single woman visits an empty Southern California model home and fantasizes about living there, when surprised by a "family"
just like the one she had been imagining; Comedy. PLAYS 2007 and was an ACToberfest Semi-Finalist at the Secret Rose Theatre in North Hollywood.